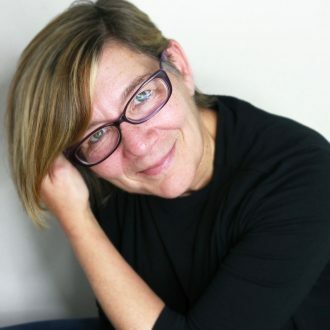 Kathy Anderson’s short story collection, Bull and Other Stories, won the 2015 Autumn House Press Fiction Prize, was longlisted for The Story Prize, and was a finalist for the Publishing Triangle’s Edmund White Award for Debut Fiction, the Lambda Literary Awards, and the Foreword INDIES Book of the Year Award. She was previously a finalist for the Flannery O’Connor Award for Short Fiction and the New Rivers Press Many Voices Project, among other prizes and awards. A playwright and Dramatists Guild member, her plays have been produced and staged nationally and internationally. She lives in Philadelphia, PA.